Washington DC is not only our nation's capitol, it's a place steeped in history and culture from famous monuments to the arts to fine dining. Whether you're a tourist or a resident enjoying the town, there's plenty to do and any number of places to celebrate your special events. 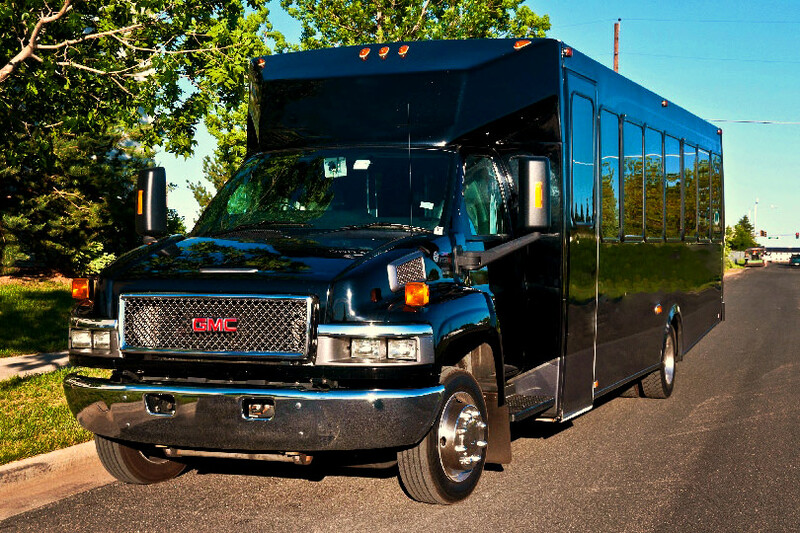 Party Bus DC is in the business of providing high quality luxury transportation for a wide variety of events and celebrations throughout the area. 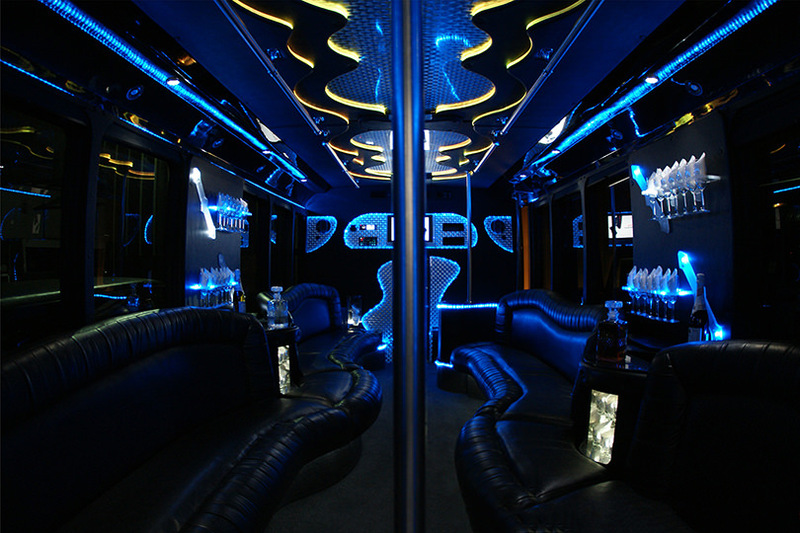 In fact, we're the number one DC party bus service provider. 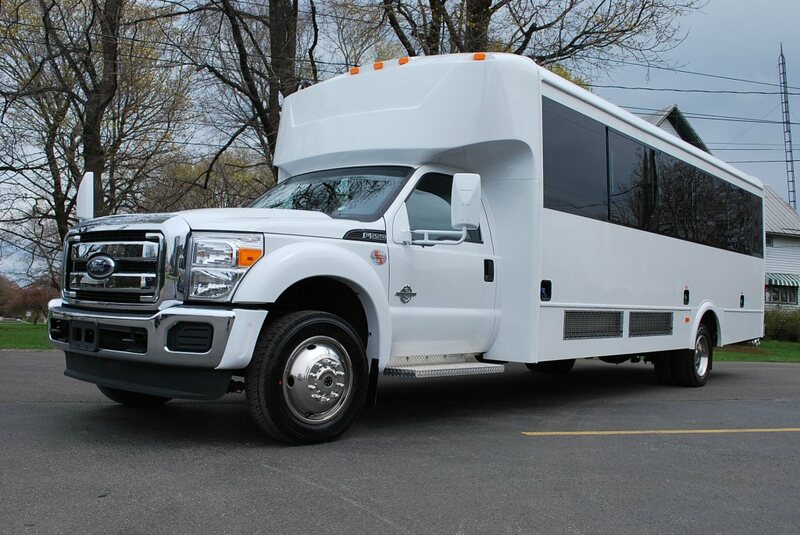 We offer a beautiful fleet of vehicles that range from smaller-sized vehicles ranging all the way up to rolling dance clubs on wheels that include such amenities like a fire place! Below you'll see a small sampling of our vehicles. As you can see, they have beautiful interiors with beautifully upholstered leather seats, vibrant lights, coolers, TVs, DVD players, CD players, and much more. We have options ranging in size from 10 to even 40 passengers so you can have all of your guests travel together. No matter which vehicle you choose, it's going to be chock-full of great amenities and will be perfect for anything you have planned! Our limousines and our party buses are all the perfect way to transport any number of guests. The ride will be smooth, the refreshments will be cold, and the music will be loud. Roll up to the club or any destination in any member of our fleet and you will surely turn heads. If you want to get the VIP treatment, our buses are the best way to go! As you can see, the vehicle interiors are super gorgeous! Comfortable, beautiful leather seats, bright colorful lights, coolers, dance poles, wood floors, and more. Our buses and limousines are incredibly luxurious and our prices are very affordable. We'll be more than happy to give you a price quote, we just need a few small pieces of information. Our prices are based on the size for the vehicle and the date of service, etc. So here's what we'll need to know from you: The first is the date that you need to order reserve a vehicle. Next we'll need to know how many passengers you'll have so we can find an appropriately sized vehicle. Lastly, let us know the location of your pick up and how long you'll need the rental to be. We can give you a no-obligation quote and if you're ready to officially reserve the vehicle at that price, make a small down payment and you're all set! We provide the best transportation of events. Weddings, birthdays, nights out on the town - anything the people of DC may be celebrating, they count on us to provide them the finest modes of travel. So what is it that makes us the region's finest? We've already mentioned our gorgeous luxury vehicles and our affordable prices, and those are definitely things our clients love, but it's really our level of dedication and our service that sets us apart. We're committed to excellence and customer satisfaction. When you've spent time planning a celebration, you want things to go according to that plan, so don't get stuck with an unreliable company that will throw off your entire schedule. We're always on time with our reliable and beautiful vehicles. We won't let you down. More than our prompt drivers and well maintained vehicles, we have a customer service team that's always around when you need them. Our team works round the clock, 24 hours per day, to make sure our clients are receiving the very best service. Our agents are always available via phone and email to answer your questions and give you quotes. Our vehicles are available for rentals 24 hours per day as well, so you can enjoy your celebration at whatever time suits you! No matter the time, we'll have a vehicle for you. Whenever your ready, give us a call and we'll help you with whatever you need!